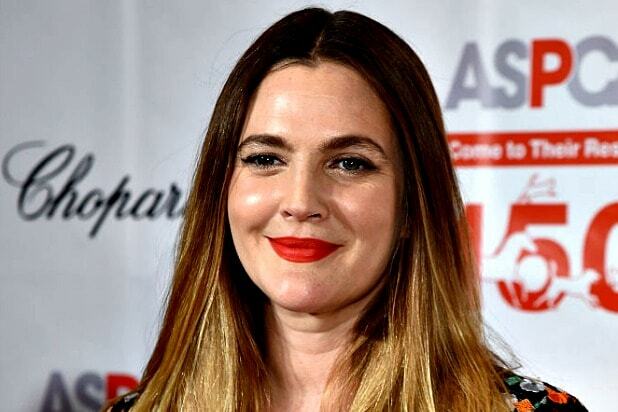 A fake interview with actress Drew Barrymore has gone viral after political analyst Adam Baron noticed the story in EgyptAir’s in-flight magazine. “This interview with Drew Barrymore in the Egypt Air in flight magazine is, umm, surreal,” Baron tweeted, proceeding to post photos of the “interview” that is loaded with spelling and grammatical errors. While representatives for Barrymore have not yet responded to TheWrap’s request for comment, a spokesperson for the actress told Huffington Post that Barrymore “did not participate” in the interview and her team is “working with the airline PR team.” A spokesperson for EgyptAir has not yet responded to TheWrap’s request for comment. “Despite being unstable in her relationships most of her life, despite the several unsuccessful marriages and despite the busy life of stardom that dominated her life for several years; the beautiful American Hollywood actress Drew Barrymore has recently decided to temporary [sic] take an unlimited vacation to play her most crucial role as a mother,” read the article. “Not often you read an interview where the questioner and the subject speak with exactly the same voice,” added another. The latest status symbol for many stars is launching (or buying) their own winery. But how do the wines actually stack up? 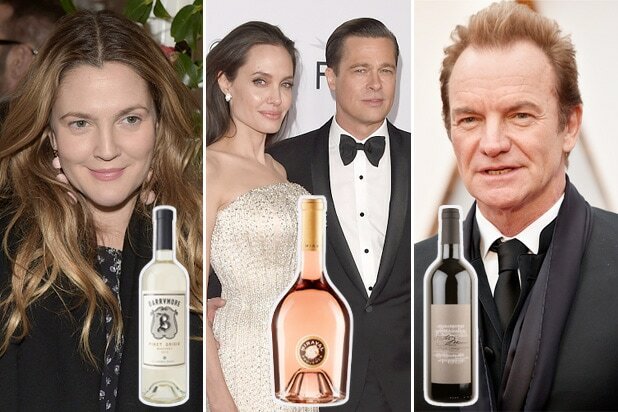 We looked at the latest reviews of celeb-owned vintages by Wine Enthusiast magazine. "This wine is as intense as its namesake, the singer Madonna," Wine Enthusiast wrote in 2009. "Not coincidentally, it is made by her father." "This is a dry red wine exuding bell pepper and oak that was made in large quantities in partnership with musician Dave Matthews," the site's critic wrote. "Tart and jammy, with acidic, one-dimensional flavors of pineapples, vanilla and butterscotch," the site writes. "This is a thin, unfussy wine that imparts bell pepper and asparagus in a sea of green flavor," the site's critic writes. "Not overly structured, it'll please tough guys who like their wine to be easily quaffable," the Wine Enthusiast critic writes. The self-help guru and former "Real Housewives" star won praise from Wine Enthusiast in 2014 for her white blend's "versatility and sheer likeability." The San Francisco-based roots rockers have a whole line of wines based on their songs (there's also a petit sirah called Drops of Jupiter). "This wine is dry, with a hint of oaky vanilla and buttered toast," Wine Enthusiast's critic wrote of the chardonnay in 2014. "From pop music star Fergie, this wine shows dainty aromas of lemon-lime soda, red apple and honey," the site's critic writes. "With its attractive red-fruit flavors, this is a light, perfumed wine," the site's reviewer wrote of the French actor's vintage. The celebrated race-car driver has been a longtime winemaker. "Dusty, chalky tannin and earth provide character to this blend," Wine Enthusiast wrote. The opera singer's red Tuscan has "a gritty, earthy bouquet with background notes of black fruit, tobacco, spice and old leather." "The polished palate shows mature red plum, tobacco and vanilla," Wine Enthusiast wrote in 2017 of the latest Tuscan blend from the veteran British rock star. "The tense, tangy palate offers white peach, citrus zest, fennel and mineral," the site writes of the former "Sopranos" star's white blend. "Apple peels, squeezed lime, rain on cement, jicama and Asian-pear aromas show on the crisp yet rounded nose of this bottling by actress Drew Barrymore," the site writes. "This is a big, beefy wine that smells smoky and black-cherry-like and tastes full, bold and firmly tannic," the site writes. "Candied blackberry and black currant meet with lilacs on the concentrated gooey nose of this bottling by the pop star Fergie and her father," Wine Enthusiast writes. "As intense and strapping as a Hall of Fame cornerback, this Cabernet is ripe in dark cherry, vanilla and milk chocolate, the tannins mouthfillingly sweet," Wine Enthusiast wrote in 2014 of the former NFL star's cab. The magazine's critic writes of "The Toy Story" director's wine: "Smoky, charred oak and spicy acidity wrap around lush blackberry, cherry and tar, with plenty of grip to show on the finish." The former Hollywood It couple bought the French estate in 2011 in partnership with the Perrin family of Château Beaucastel in Châteauneuf-du-Pape -- and the estate denied reports of a sale in 2017 despite their divorce. Wine Enthusiast writes, "Happily, it is also a very fine wine, perfectly balanced between crisp fruit and acidity." Wine Enthusiast critic waxes on about the "So You Think You Can Dance" judge's new vintage: "It's floral, full-bodied and multi-layered on the palate." The veteran CBS sportscaster has been making wine with partner Peter Deutch for years, and Wine Enthusiast called this bottle "ripe and full bodied." Former NFL quarterback Drew Bledsoe planted his first vineyard in his native Washington in 2007 and he won high praise for his 2013 cab: "Alluring aromas of cassis, earth, spice, vanilla and flowers are followed by a structured palate." "Medium cherry in color with notes of raspberry jam, wet stone, mint and cherry," the site writes. "The 2015s from proprietor Sam Neill (yes, the actor) are a big step up from the 2014s," the site's reviewer writes. "It provides plenty of immediate appeal but will only benefit from some time in the cellar," Wine Enthusiast critic writes of the "Twin Peaks" star's latest. Here's a surprise from the R&B singer-songwriter: A rave from Wine Enthusiast in 2011 for his "extraordinarily decadent Mourvèdre, Grenache and Syrah blend, currently among the best in California."